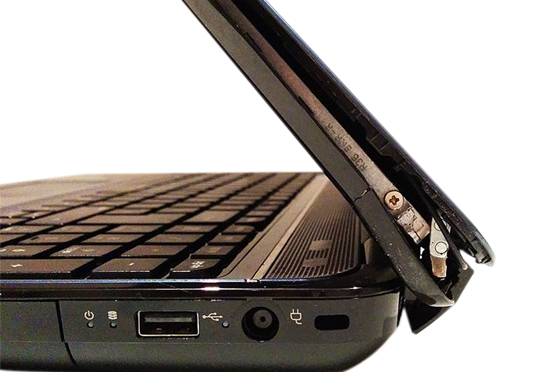 As we aware that the breakages on the laptop enclosure parts can happen possibly due to wear and tear, improper handling, accidental damages etc. The Laptop Manufacturer’s release their laptop as a policy, every manufacturer emphasize that the warranty is applicable only for the failed internal laptop parts not for the outside Enclosure related parts as such..For instance, under the warranty period even if there is a problem due to the manufacturing defects even by the Manufacturer on the required times, they would request you to pay the necessary charges for the replacement and no alternate to that, as a policy the warranty doesn’t cover so called “Physical Damages”. At the same time for instance if the hinges are broken, the manufacturer may insist that we should buy Top enclosure along with LCD bezel and hinges as total set.Though we require only the hinges, but the manufacturer doesn’t sell the hinges alone separately they may request you to purchase the total set which comprise of Lcd panel, top panel, bezel, hinges etc. We respect the manufacturers and also appreciate their policies but from the user perspective they don’t need want to buy the entire set rather they require only specific parts. 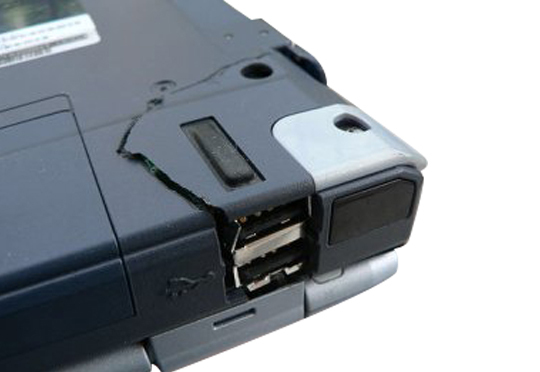 When we approach the manufacturer in the 2nd or the 3rd year etc, the spare availability becomes less possible to the users since the manufacturers obsolete their models and may not support them or it would be rather expensive and not only that , we may need to buy a whole set not the actual spare part which we actually require. Since the aesthetic parts are very unique even the other 3rd party vendors, who are in the countries like china, Taiwan, hongkong etc, they don’t stock or supply every part of what we require, rather we get only 20 to 30% of parts can be out sourced from them out of our actual requirement of 100% many times. Apart from that, even if the Part(s) are available, importing a single spare which involves duty , import time frame or the other challenges the service provider has to come across in every case. 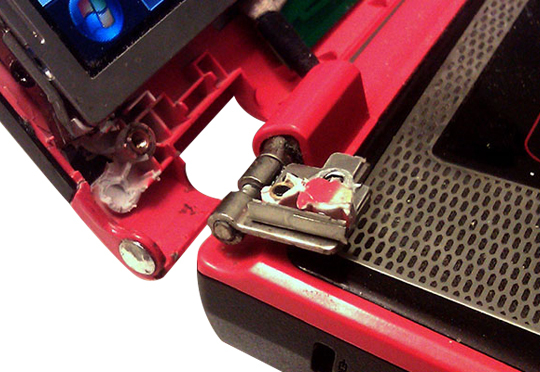 In general, the laptops aesthetic parts doesn’t break in the 1st year unless it gets damage accidentally. But there are number of possibilities of the breakage could happen due to wear and tear in the 2nd year and it could be to the tune of 20 to 30% of the users rather in the 3rd year the percentage of chances could be more than 40% and above.We admit that as it doesn’t happen with every model though but there is always a possibility that at least 40% of the users would certainly might need to change some of the aesthetic part in the specific laptop’s life time. When we look little deeper in the aesthetic parts these enclosures are designed on proprietary basis and designed for the respective model may be some time to the entire series. Hence matching X TO Y become impossible even with the same manufacturer. Since they design the very next model with the different kind of specifications. Under given circumstances, not everyone can afford to throw their products just for cosmetic issues and go for a new product purchase; we wouldn’t even recommend that. In the Last 15 years of the industry experience, we had come across several thousand cases had been received for the aesthetic issues and we had provided rework and replacement solutions both. Preferably a replacement if available, if not we suggest for the reworks of the aesthetic parts. As we understood the complexity of the spare availability on the required times, we had started fabricating or remolding the aesthetic parts with the help of Die molding, welding and solder equipments. Since then, we could provide solution to customers to the tune of 95% strike rate .Also when we happened to do rework on the plastic aesthetic parts, we would also do painting with similar color , since just the rework on the enclosures doesn’t provide a good look without painting. We have a internal painting unit which takes care of the painting needs. Once the painting is done, the parts will look like new in condition. 1. The parts can be brought to original condition. This aesthetic parts such as Top panel, Front Lcd bezel, Bottom panel, Palm rest and Hinges. 2. Original condition meaning like new condition. 3. There are no size restrictions for the enclosure parts. Even is the manufacturers doesn’t support their products some time, we can able to support such cosmetic issues with the less cost and also with lesser down time. More importantly “The solution” can be provided as good as new in a reliable manner.